Organizing can be fun! With a wide variety of designs and styles to choose from, you can create your own custom home labels that are perfect for the home office, keeping your child’s toys organized, making it easy to find your favorite things in closets, kitchens, or home filing cabinets. 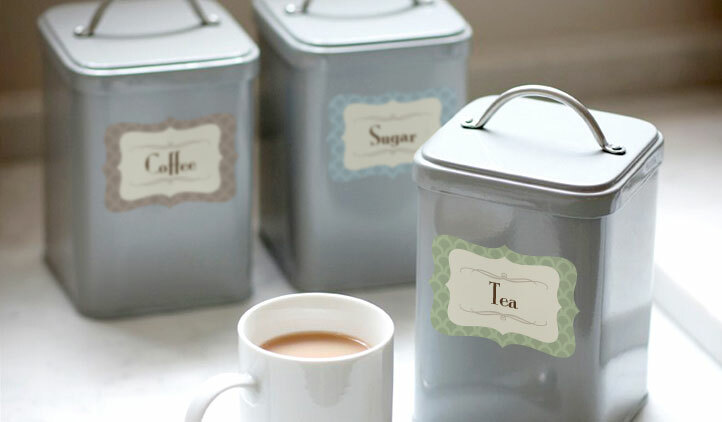 From wires, to kitchenware, to your home office, or bedrooms… help keep your house organized with home labels! Wires for all the electronics get mixed up so easily, especially if behind computer desks or televisions. Make finding the right wire so much easier, by using a picture icon on the plug, or a name label further up the wire. 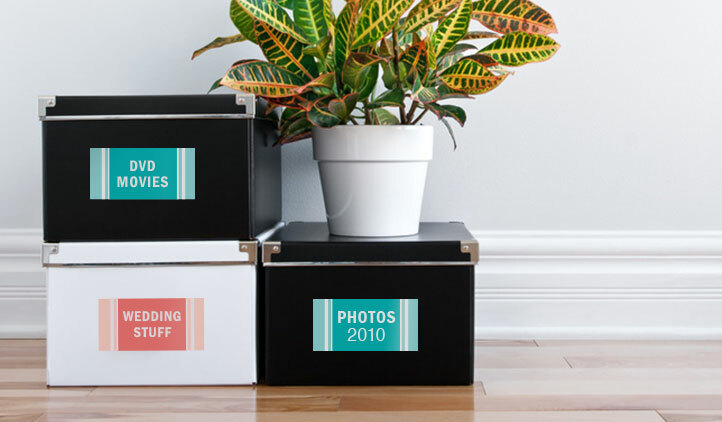 Home Labels are also perfect for organizing your everyday items like phones, wallets, keys, or sunglasses. 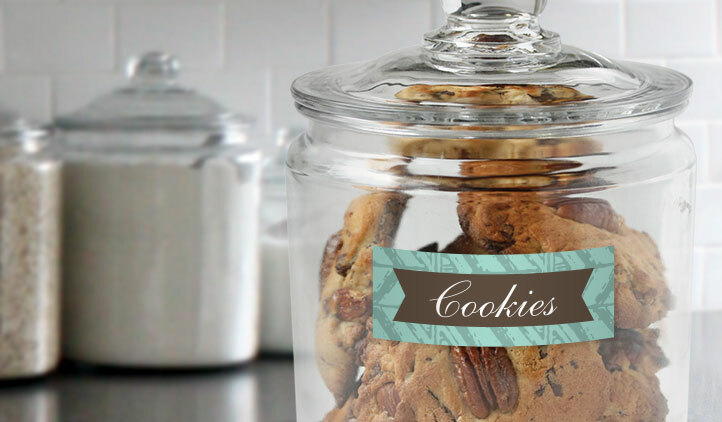 Keep a tray near the door, with a label for each family member, to help keep things in one place for easy access when heading out. For every room in the house, there is a label to keep it organized. Mailing labels, water bottle labels, freezer labels, food labels, drawer labels, clothing labels - The labeling possibilities are endless! Our labels are printed on a high quality, glossy material. They are weather resistant, you can put them in the fridge, freezer, washer, dryer, and even the dishwasher without damaging them. Thanks to StickerYou, no corner of your house will go unlabeled! Labelling boxes and containers has never been so easy. StickerYou has tons of templates to choose from, or you can make your own. We also offer a variety of sticker materials for different surface applications.